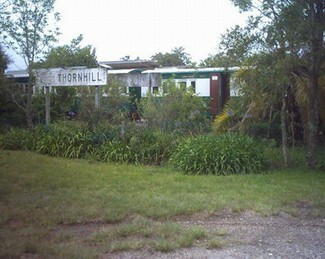 Thornhill village, our day trip terminus has quite an interesting history. Here is an extract from the book ‘Governor’s Travels’ written by Bartle Logie. Christopher Thornhill Camm was working on a sugar estate in Antigua when he heard, in 1802, that he had inherited a property known as Thornhill in Bishops Wearmouth, near Sunderland, County Durham. It was stipulated that to inherit it he would have to change his surname to Thornhill. After having obtained permission for the change of name, he took possession of the property on 29 October 1802. An investment in a glass factory that went bankrupt forced Christopher Thornhill, as he was now known, to sell the property in 1816. He and his family moved to London. He became interested in the scheme to bring British settlers to the Cape and eventually led a party that was granted land between the Kowie and Rufane rivers at what is today Port Alfred. This piece of land he also named Thornhill. Christopher Thornhill’s son, John Thornhill, developed several business interests in Port Elizabeth after 1835. He bought property to the west of the Van Stadens and in the family tradition, named it Thornhill. It is believed that the homestead on this farm was situated where the railway cottages stand today. In 1864, long after the last elephant was shot, George “Willie” Smith owned a large tract of land in the area, part of which was Thornhill’s former estate. He established an inn for travellers known by the insalubrious name of Modderkantien (Mud Canteen), derived from the material used in its construction. With the building of the Van Stadens Pass, traffic increased and the success of George Smith’s venture was assured. Although work on Kalahari No. 119 has stopped while quotes for the supply of new boiler tubes is being sorted out, the water tender for the loco has been completely redone and is looking quite impressive in its new coat of paint. 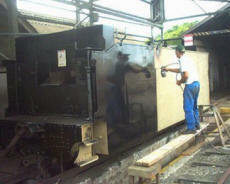 Let’s hope that it will not be too long before work can begin on the other half of the locomotive. 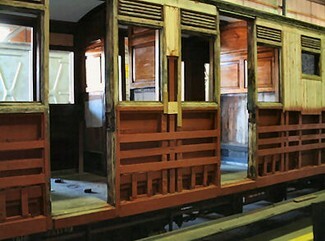 Work is progressing well on the restoration of passenger coach No58. This coach was badly damaged by Spoornet when the Company “borrowed” it to transport workers in the Langkloof a few years ago. This coach is historically valuable as it is one of a few that was specifically built (1904) to transport passengers and is not like most of the other Apple Express passenger coaches that have been converted to passenger carrying vehicles. Its original status was that of a First Class coach. Our coach builder is doing a first class job and it will not be long before it is brought back into service with pride. Once work is complete, it is planned to take one of the current passenger coaches out of service for much needed body maintenance. Also necessary work for the future is the replacement of brake blocks. In the past some coaches were adapted to accept the freely available Spoornet “composite” brake blocks but this work which entails altering the brake hangers was a major undertaking. The foundry that supplies the composite blocks has been approached to quote on the supply of the original style brake blocks designed to fit the coaches. It is unfortunate that the curse of theft and vandalism is still prevalent and ongoing at the steam depot. It seems that the criminals have a free hand in the area and are taking things at will. Almost weekly metal and other fittings are being taken. At least most of the very important locomotive parts and equipment have been taken by the staff to the relative safety of the diesel depot. Recent items that have been stolen are heavy steel coach wheel tyres and thick electrical cables that were attached to the large heavy duty welding machine, the compressor and other workshop machinery. The only way these items could have been removed was by a gang using heavy trucks. Somehow it seems all to easy to just drive into the depot, take what they want and leave. Locked doors are just hacked to pieces or kicked off their hinges by the thieves. The one area that was covered by a burglar alarm system did not escape either. Bits of the system was found hanging by its connecting wires and the passive infrared detectors had been stolen. So much for armed response burglar alarm systems. News recently received from Australia of two ex-Humewood Road NG 15’s. 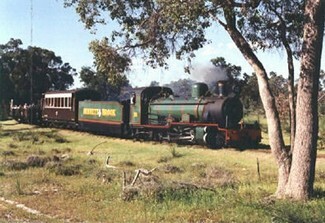 The Bennett Brook Railway situated just outside Perth, Western Australia, bought two NG 15’s in 1985 and shipped them over from Port Elizabeth on the ship “Nederberg” arriving in Freemantle on 21st April 1985. They were put into service on 21st September 1986. Both are now in for overhauls and are expected to be back in service later this year. NG 15 no.118 is to be named “Freemantle” while no. 123 will be named “Elizabeth. After a trial period of several months it seems that the once a month short run to Chelsea junction will have to be discontinued. The two hour return trip does not seem to have found favour with the general public. Only schools both local and from further a field have made use of the service by organising midweek runs for their pupils. As 2006 winds down and the coming summer season winds up, corporate enquiries regarding Christmas bookings for their staff year end outings hots up. Peter Burton (Group bookings Manager) says that enquiries and confirmed bookings from Companies have suddenly taken off. Looking through his “enquiries” book, it seems that there could be at least nine extra trips in addition to our normal scheduled trips for the period ending November/ December 2006.